Liver health is an important factor in dietitian-approved menus for senior care centers, assisted living facilities and nursing homes. Nonalcoholic fatty liver disease (NAFLD) is common among older adults, and the risk increases with age. The condition is often preventable, however, and can even be reversible if caught in the earlier stages. Since no medical treatments or medications are currently FDA-approved for NAFLD, treatment typically involves improved diet and nutrition. 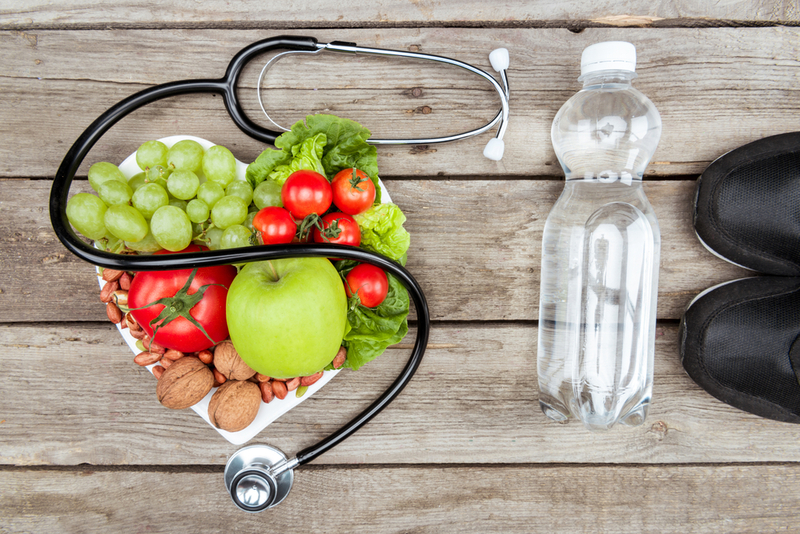 Below, we explore four of the primary ways that dietitian-approved meal planning programs help to prevent chronic liver disease. Obesity is a definite risk factor for NAFLD. In fact, most people diagnosed with chronic liver disease are either overweight or obese. Research shows that gradual weight loss can improve liver health and reverse the condition. However, daily calorie reduction needs to be carefully managed, as a diet too low in calories can increase inflammation in the liver and make NAFLD worsen. With dietitian-approved menus, older adults can lose weight without risking their health. Some studies have suggested that eating a diet high in saturated fat increases the risk for chronic liver disease. At the same time, consuming polyunsaturated fats – particularly omega-3 and monounsaturated fatty acids – may help prevent NAFLD. Dietitian-approved menus for nursing homes, senior care centers and assisted living facilities are designed with fat intake in mind. Meals and snacks are planned to include healthy fats and avoid unhealthy saturated fat. Sugars, and more specifically, fructose, have been associated with an increased risk of NAFLD. Research reveals that people with chronic liver disease tend to drink more soft drinks than people who don’t have the condition — and the fructose these beverages contain triggers triglyceride and fatty acid synthesis in the liver. Some studies have found that short-term carbohydrate and sugar restriction may be more effective at improving liver health than calorie reduction. To that end, meal planning programs track and manage the amount of fructose and other sugars seniors consume on a daily basis. While proteins haven’t been proven to help prevent or treat chronic liver disease, some researchers have found that increasing protein intake may reduce the risk of NAFLD. However, other studies have determined that a diet high in animal protein can have the opposite effect. Meal planning programs feature nutrient-dense dietary proteins from a range of animal and plant-based sources. Proper protein intake is vital for older adults, so recipes for seniors are often packed with protein. Dietitian-approved menus can help prevent and treat chronic liver disease in older adults. However, planning nutritious meals and snacks to meet individual senior health needs can be a challenge. That’s where Grove Menus comes in. The Grove Menus software system offers hundreds of tasty and healthy dietitian-approved recipes, each of which is easily modifiable to address specific dietary concerns. In addition, our meal planning program contains a suite of user-friendly tools designed to streamline meal production, reduce kitchen waste and cut food costs. For more information about Grove Menus, or to schedule a complimentary, no-pressure demonstration of how our dietitian-approved menus can work to help improve liver health in seniors, contact us today.